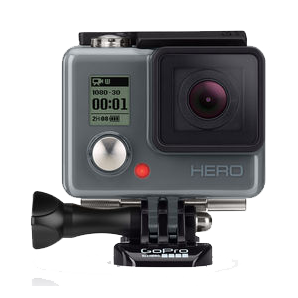 The perfect entry-level GoPro Hero features 1080p30 and 720p60 video, 5MP photos up to 5 frames per second, QuikCapture, SuperView and Auto Low Light. Keep it working to the top of its abilities with this update. Safely remove the microSD Card from your computer. Be sure your camera is powered OFF. Insert your microSD Card into your camera. Your camera will cycle through a number of beeps and turn itself Off and On a number of times as it updates. Your camera will finally flash an “> Updating” message before it turns Off. As long as you don't get a “> Camera Update Failed” message, your update is successful.